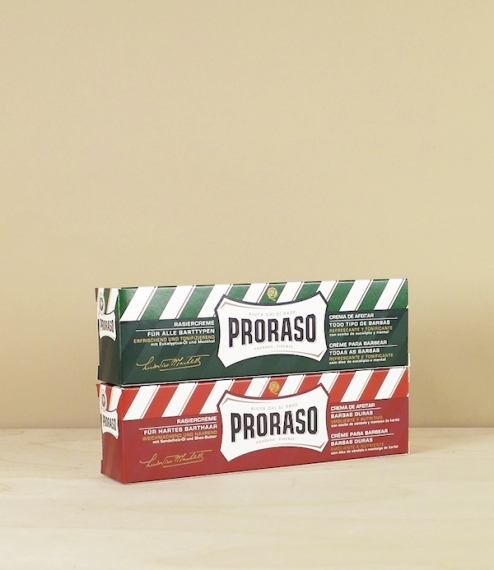 Shaving creams - hot processed shaving soaps made in Florence to a still secret family formula since the 1940s. With a tallow, coconut oil, and eucalyptus or sandalwood base the cream works quickly to a rich lather which softens the beard and tightens and cools the skin. Best used directly onto a brush, smeared about the face and worked in situ without need for a bowl making it an ideal traveling soap. 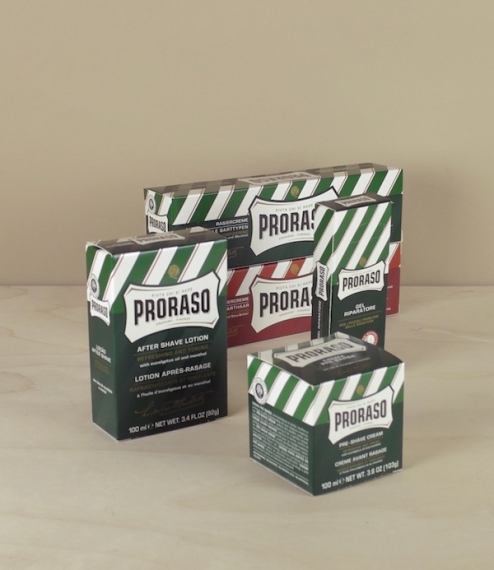 Classically with menthol and eucalyptus (green) or sandalwood (red). 150ml. 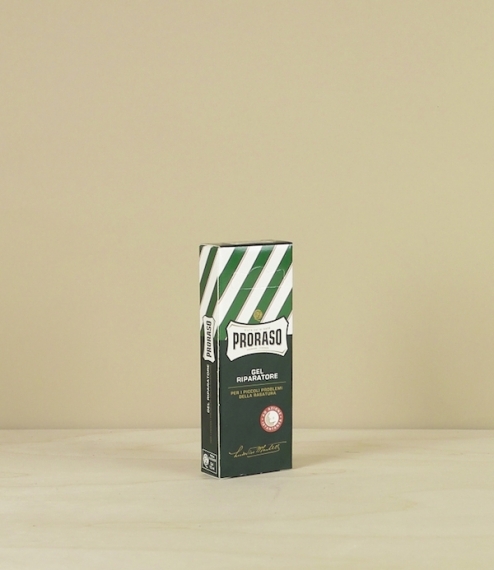 After shave - a traditional alcohol based after shave rub with the classic and refreshing Proraso eucalyptus menthol scent. 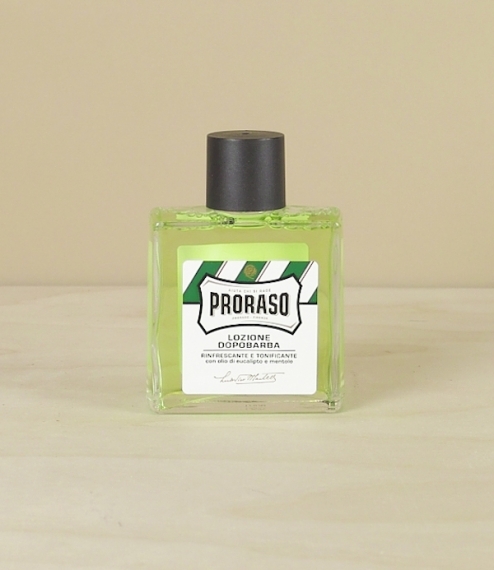 Made in Florence and formulated with added witch hazel leaf extract to cool and tone the skin helping to reduce rashes and razor burn and with castor oil to smooth and protect the skin. A longtime favourite of Florentine barbers. 100ml. Gel riparatore - literally repairer gel, a very effective gel used in minute quantities in a manner similar to to an alum block or styptic pencil to help stem the flow of blood from minor nicks or shaving cuts - a less unsightly alternative to tissue. 10ml. 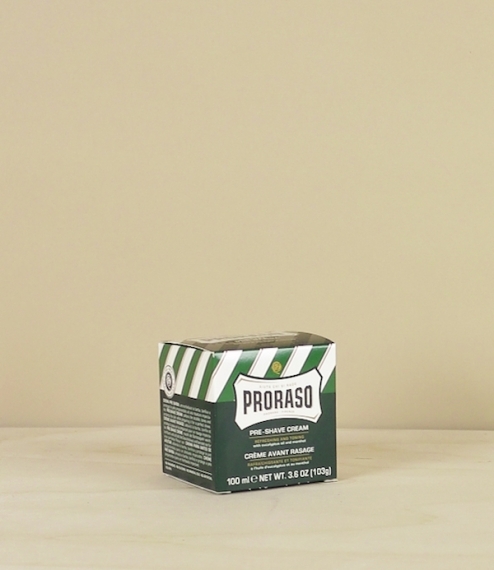 Pre-shave balm - like the green Proraso shaving soap this balm is made with camphor and eucalyptus leaf oil to sooth, cool, and moisturise the skin. For use before or after shaving - used before normal shaving it should be massaged into a wet beard, tightening the skin whilst softening the hair for an easier, smoother cut; used after a shave it will cool, close pores, calm, and moisturise the skin. 100ml.